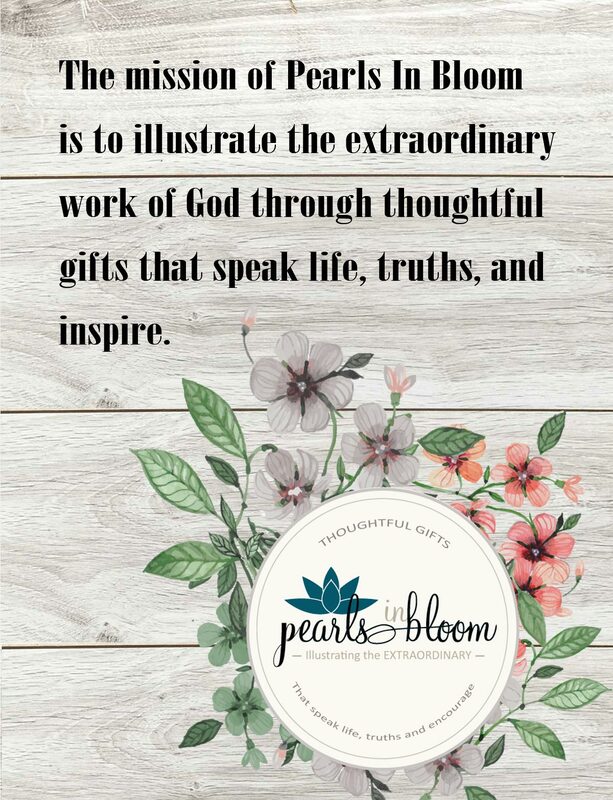 Discover creative ways to encourage others and to motivate them toward acts of compassion, doing beautiful works as expressions of love. 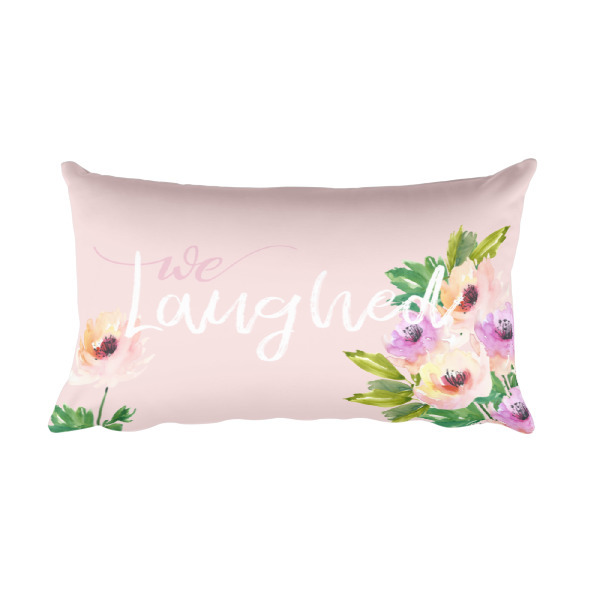 I loved it when I heard Julie Lyles Carr say that she wanted her kids to remember their home as a place where, “We Laughed.” The floral design on this pillow is so sweet and it’s perfect for spring and summer! I loved it when I heard Julie Lyles Carr say that she wanted her kids to remember their home as a place where, “We Laughed.” Life is tough. Relationships are tough. But when we remembered that we laughed, those better memories take center stage and become bigger than the struggles we faced. 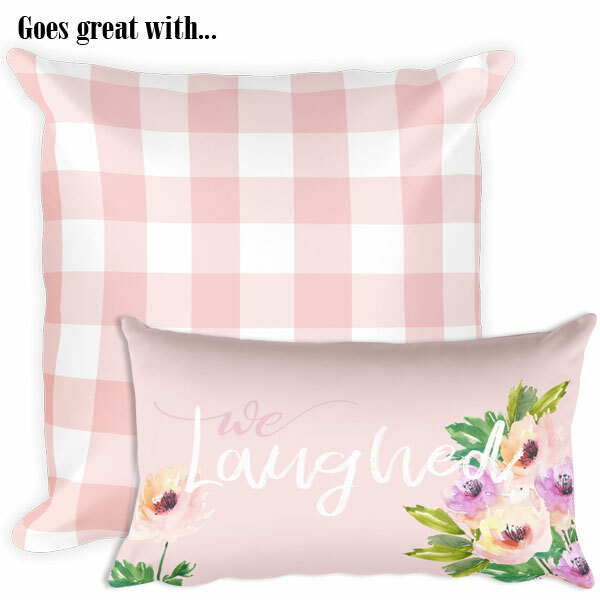 The floral design on this pillow is so sweet and it’s perfect for spring and summer! 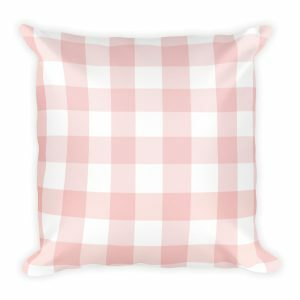 The pillow’s rectangular shape is perfect as a decorative accent, a lap cushion or snuggle time. 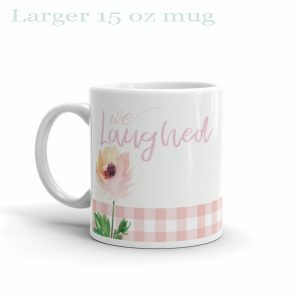 It will make for a great gift and will pair well in your home with a variety of pink, blue, gray, brown and whites. 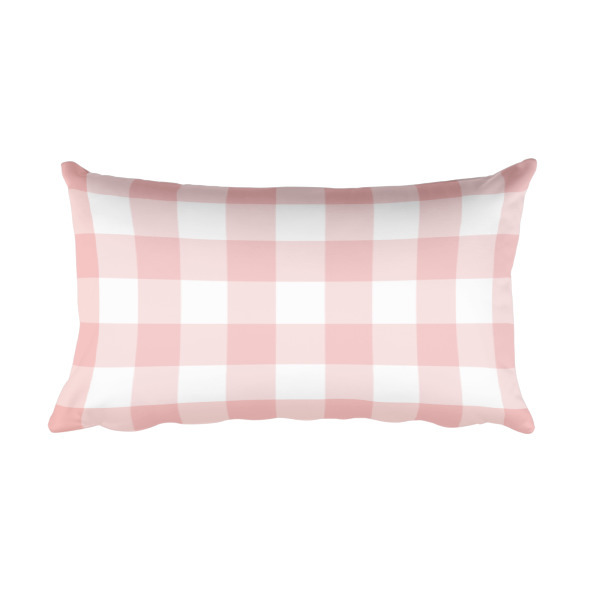 This pillow has been created using a linen-like polyester fabric. A hidden zipper has been sewn so that the pillow form can be removed if needed. Spot clean with soft white damp cloth. Julie Lyles Carr inspired the creation of this product. You can see Julie Lyles Carr’s interview with Teresa Ann on www.LetsTalkStudio.com. Some of our items are ready to ship today and other items are made to order. This is communicated on the product detail page for each item. For items that are made to order, it takes about 2-5 business days to get them ready for shipment. More than a half of our orders are shipped within 3 business days or less. Then you should add shipping times on top of that. Overall speed and price depends on product type and destination.